Thurlaston is a village in Leicestershire, located about eight miles south west of Leicester. The only nonconformists were Baptists, who arrived in the late eighteenth century. 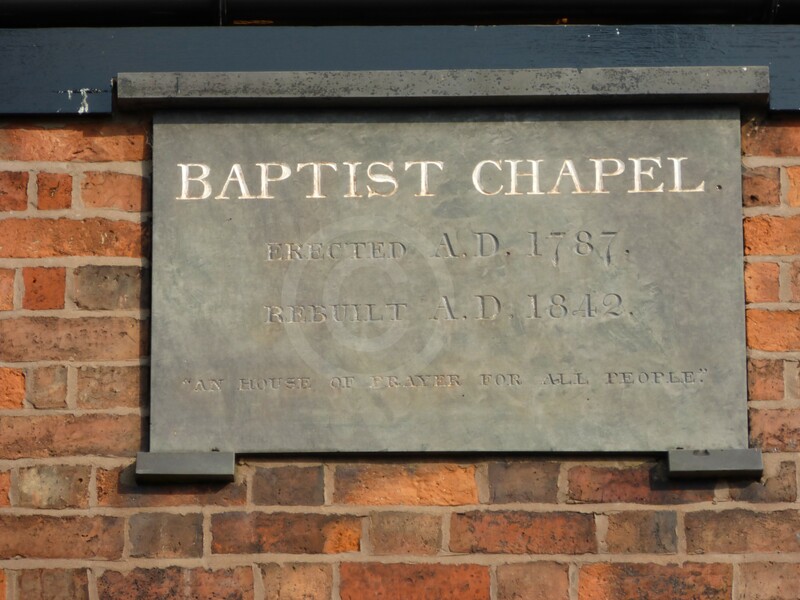 A meeting place was established and licensed in 1788 for ‘Baptists’, in what was described simply as ‘a building’. 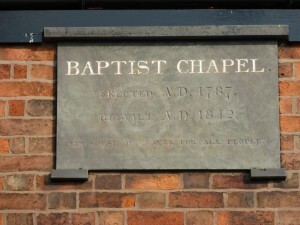 ‘General Baptists’ were counted at 200 on the 1829 Return of Religious Meeting Places. 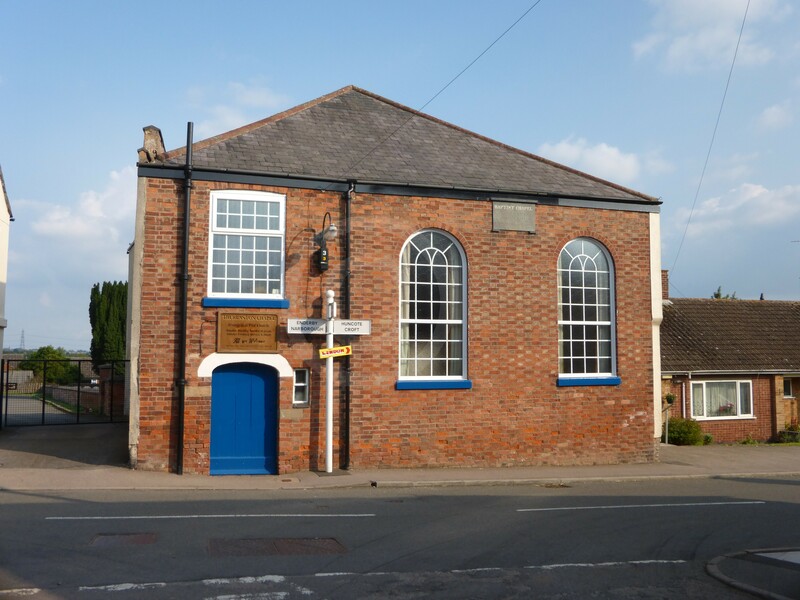 Later evidence from directories and the 1851 Religious Census noted that a chapel had been built in 1787, as a separate building, and it is likely that this was the same chapel. This congregation simply called themselves ‘Baptists’ in 1851. 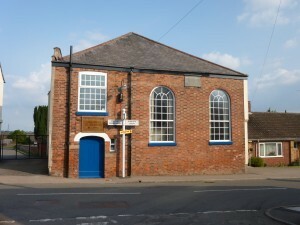 The chapel was rebuilt in 1842, at a cost of £250. At the time of the 1851 Religious Census it contained room for 350 sittings, 250 of which were free, as well as 50 standing. On census day the congregation size was 225 and 287 for services held in the afternoon and evening respectively. These figures were also given for average attendance. There is no evidence of a Sunday School. Kelly’s Directory of Leicestershire in 1908 indicated that there was a ‘Baptist’ chapel, erected in 1814. The date does not tally with the details above, and no other source confirms this information, which is not repeated in earlier or later Kelly’s directories. It may be possible to resolve this from other sources, but it could be an error by Kelly’s, who may have confused Thurlaston with another village. The chapel is still in use in 2015 by an Evangelical Free Church, which meets twice each Sunday. Leicestershire and Rutland County Record Office (ROLLR), ‘List of Meeting Places in Leicestershire’, Thurlaston, QS 44/1/2. 1829 Return of Religious Meeting Places, Thurlaston, QS 95/2/1/193. White, Hist. Gaz. & Dir. Leics. (Sheffield, 1846) p. 597; 1851 Religious Census, Thurlaston, HO 129/411/42. White, Hist. Gaz. & Dir. Leics. (Sheffield, 1846) p. 597; White, Hist. Gaz. & Dir. Leics. (Sheffield, 1863) p. 718. 1851 Religious Census, Thurlaston, HO 129/411/42. Evidence from board on building.